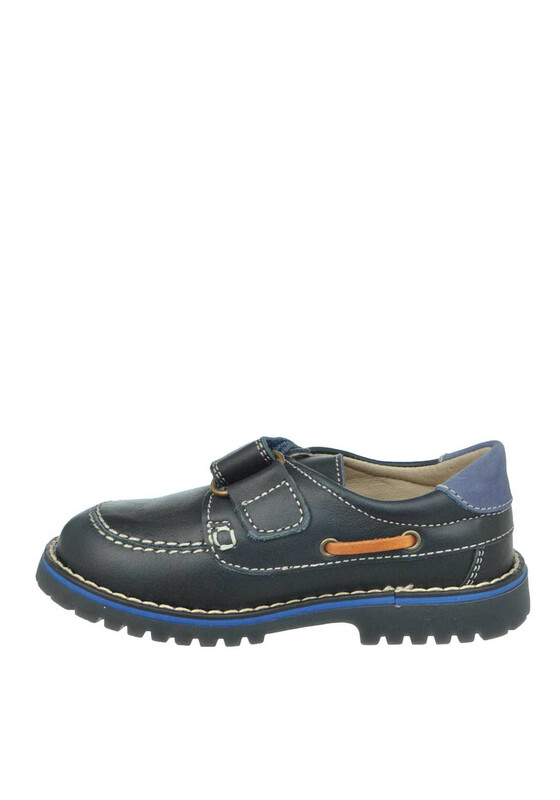 Your little gent will look so smart in these gorgeous leather loafer style shoes from Pablosky in navy. 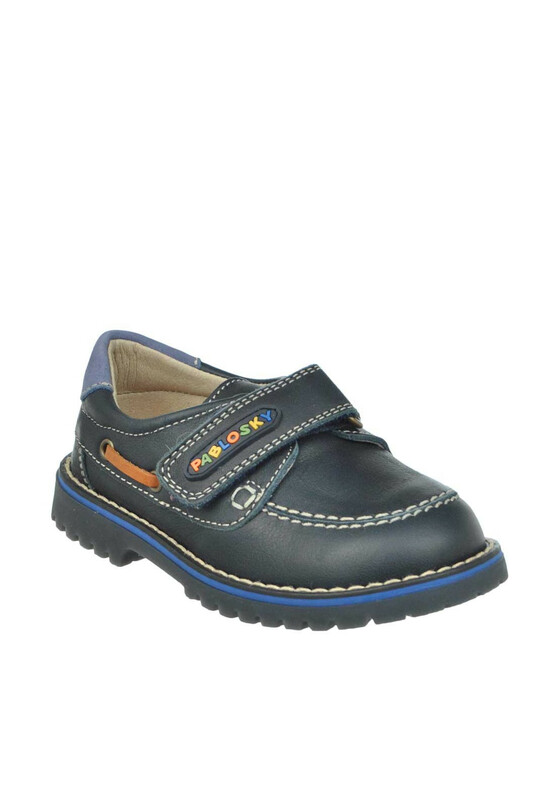 This super cute pair have Pablosky branding on the Velcro strap, brown lace sides, stitching detail and a super flexible rubber sole. 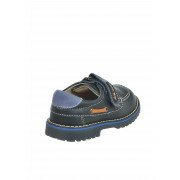 Material: Upper- Leather. 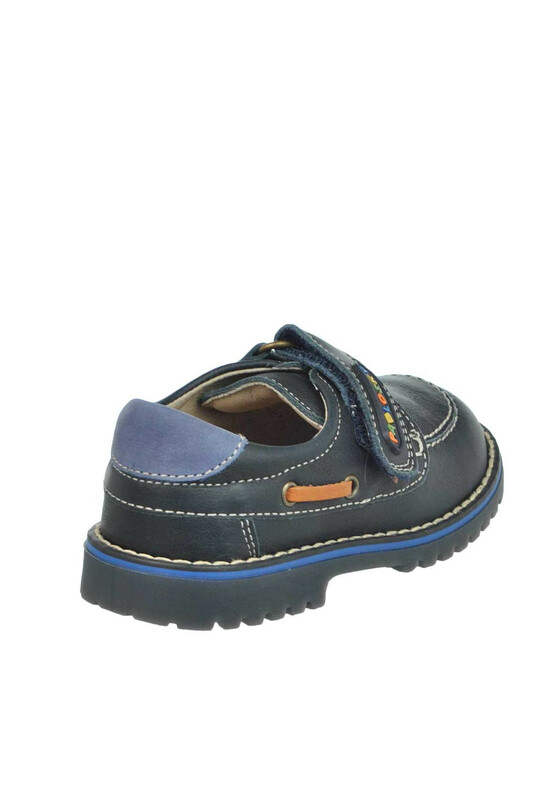 Lining- Leather. Sole- Other Materials.